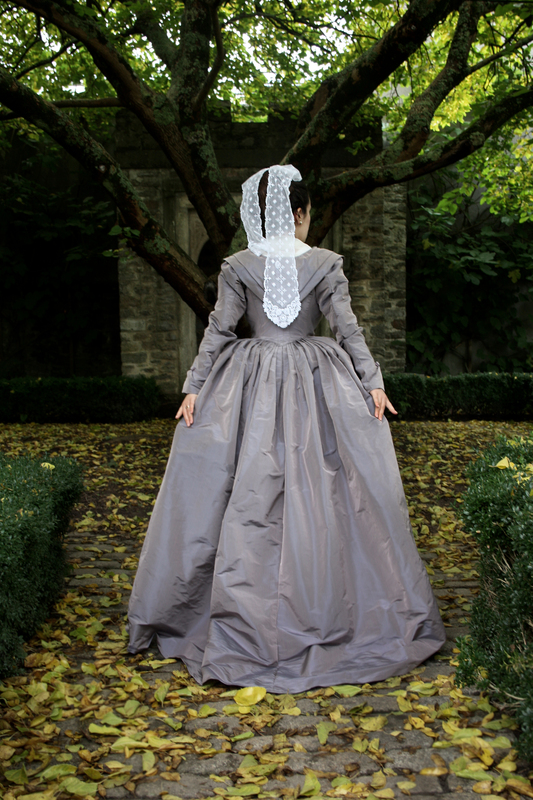 Based in Plymouth’s historic Barbican area, Classic Costume offers high quality ready-made and custom-made reproduction historical dresses, specialising in the Regency and Georgian (18th Century) eras. Each design is thoroughly researched and inspired by original period patterns, illustrations or paintings. I use genuine natural fabrics and sewing techniques so there are pins, ties and laces involved in my gowns. For any of the items shown on the website I am happy to make up your size, fabric and colour, plus small variations like sleeve length, neckline and trimmings, for the standard price. Extras like lots of ruffles, pintucks and elaborate trims will cost a little more. I do try to keep costs down and can source a lot of items quite reasonably, but be aware that special fabrics and in particular, trims, can add quite a lot to the cost of a gown. I try never to make the same dress twice so you can be sure that no other lady will be wearing the same dress. Incredible gown! I am so happy with both my gowns from Classic Costume. They are beautifully made and have become my favorites. Communication is excellent, shipping is fast. I will absolutely buy from Classic Costume again and unreservedly recommend!